The Heineken Kidnapping certainly wears the event on its sleeve, but in the fictionalized re-telling of the actual event, we're given some additional insight into the worlds of the rich and poor and how they play against each other. 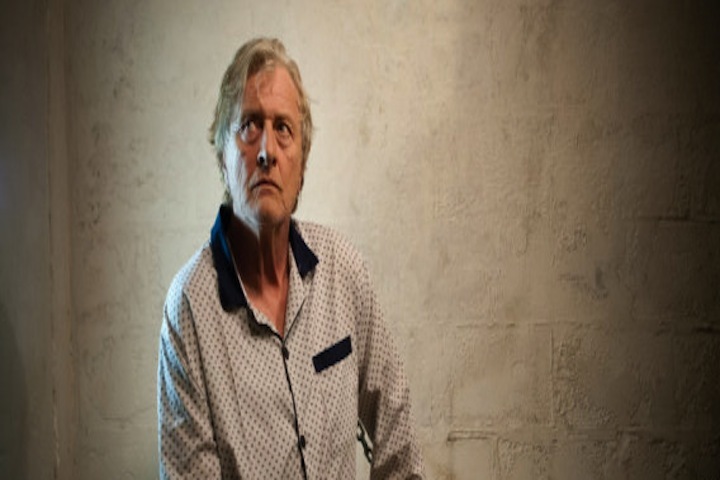 Alfred "Freddie" Heineken (Rutger Hauer) has been running the family's beer company for the past fifty years. The brand had yet to become popular outside of Europe, but even so, Heineken was still very well off. Heineken was able to indulge in a mistress, but still maintain, for appearance sake, a "normal" family life. He was a very private man who never had an entourage or traveled with a security detail. The hooligans that conspire to kidnap the wealthy beer magnate cannot say the same. Initially the group works on their own taking down easy enough capers, but when Rem (Reinout Scholten van Aschat) who has an ulterior motive comes up with the biggest caper of them all, he goes from being the unassuming runt of the group and the main mastermind. Then again, Rem has personal reasons for trying to take down Heineken. The first hour of the film establishes most of the characters, the kidnapping, and the release. Heineken is kidnapped, along with his driver, and taken to a secluded location, where he is physically and mentally abused for three weeks. The kidnappers want 35 million guilders (about 16 million Euro) or they will kill Heineken. The ransom is paid, but not right away, so Rem, in disguise begins to take pleasure in torturing Heineken. Once the ransom is paid the gang take the money and flee for the good life. What the boys didn't count on was Heineken using his vast resources to track them down one by one. His main target: Rem. Rem made it personal and Heineken wants to know why. The second part of the film really revved it up and took it to 11. It was great watching Hauer intensify in his role and to watch him do a little masterminding of his own in tracking the scumbags who kidnapped him. It also brought him down to size in that we see how vulnerable he always was. His family life is non-existent, but his wife always stood by him, he tries to atone for his past transgressions now that he has a new purpose in life. I will say that the film is curious in that it's initially set up for the viewer to follow the antagonists as protagonists before things reverse themselves in the second part of the film. It's slightly jarring, because the group of kidnappers aren't cool people to begin with. Then again, when we're first introduced to Heineken he's not a very nice guy either. 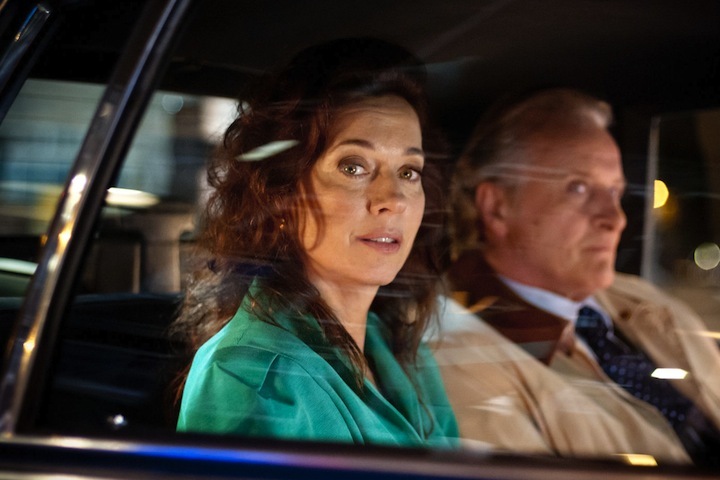 The Heineken Kidnapping is an intense thriller, it's in Dutch, and there is no dubbed track, so you'll have to do some reading, but it's a terrific little film that hits all the right notes up until the ending. It's not a bad ending per se, but it leaves more questions than answers - and somewhat kills the tone of the latter journey to justice. Other than that, it's recommended. The Heineken Kidnapping is presented in 1080p, 2.35:1 widescreen. Shot in the Netherlands, cinematography never betrays the source. Black levels are deep and inky and never crush, contrast levels can fluctuate a bit, but that's due to the Northern European climate aesthetics. Flesh tones are detailed, and never looked flushed. DNR is absent, and I didn't notice any particular instances of edge enhancement or haloing. Banding was also kept in check. The Heineken Kidnapping is presented in Dutch DTS-HD MA 5.1. The soundtrack for The Heineken Kidnapping is a pretty thunderous one, especially during the more action packed scenes of the many crimes being committed. Dialogue is clear, clean, and crisp. 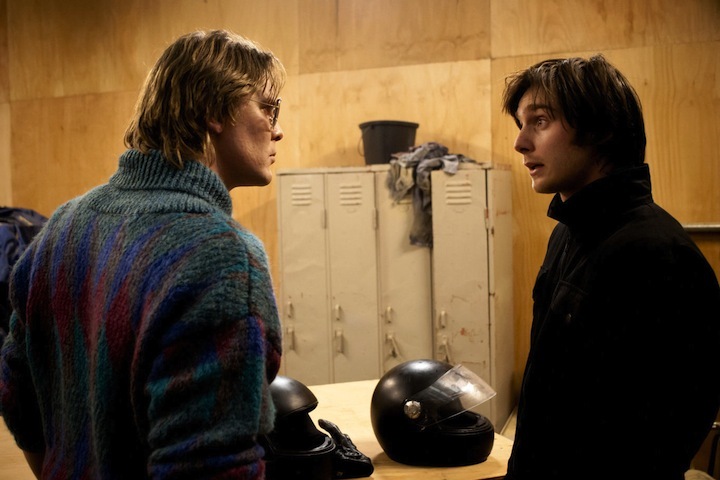 Make note that there are a few scenes in which Hauer's character speaks in German mixed with his native Dutch that the subtitles do not translate into English. Since the kidnappers don't talk to him for the for the most part, whatever German is spoken by him is what's presented onscreen in actual German, so there's no need to fidget with the subtitle options. I figure it's a stylistic choice, but if you can understand German then you're all set. This happens a few times in the film. The Heineken Kidnapping contains just two special features. There's a really a cool 20-minute featurette that features interviews with everyone (in English), which also acts as a sort of making-of featurette, as well. I normally don't go for fluff pieces, but this one particular trimmed the fat and gave us just the facts. It does contain spoilers, so watch the feature first before this program. A trailer is also included. The Heineken Kidnapping kept me on the edge of my seat through the whole experience, but once we get to the ending - it's somewhat of a major buzz kill, because it ends on such an ambiguous note that it almost feels like the viewer is getting kicked in the gut. 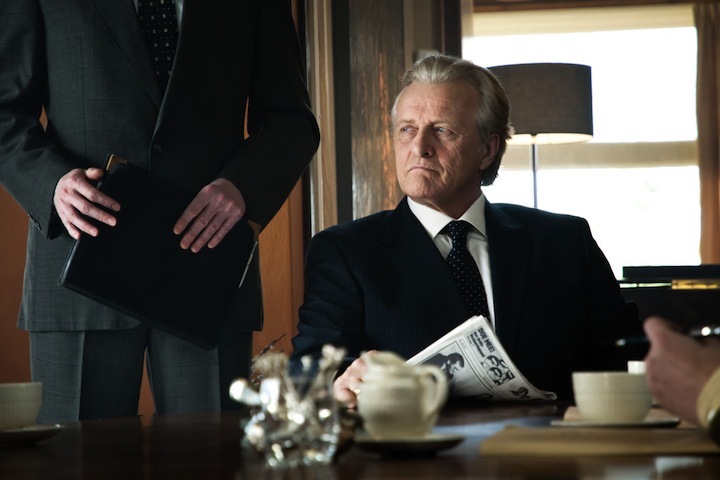 Hauer truly shines in the role of Alfred Heineken - it's great to see him in a role like this. The technical specs are perfectly adequate, but we could have used a bit more special features, which is why the overall score is lower.